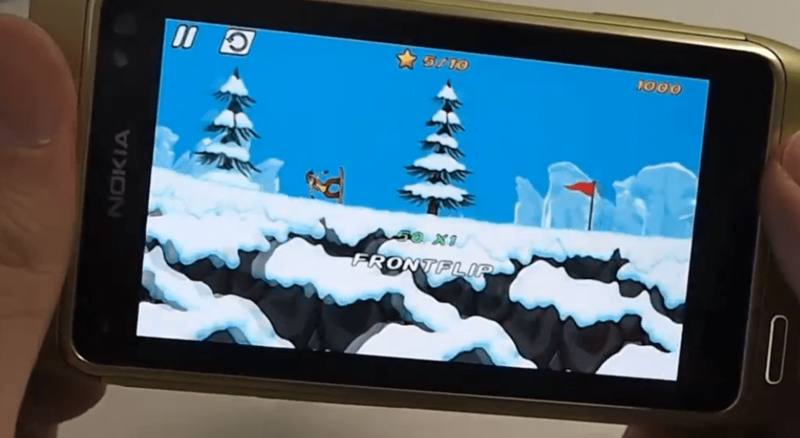 This game is from Miniclip, popular flash game maker on the web that seems to be porting a lot of their popular flash web games over to Nokia’s Ovi Store. This game is a decent 28MB in size. Hit the slopes for some serious shredding in the most fun snowboarding game ever created! To survive you will have to perform impossible stunts, dodge deadly saws and do incredible jumps in a world where gravity laws have been broken! Combining outstanding physics, amazingly responsive controls and beautiful graphics, iStunt 2 is one of the most fun and original games on the Ovi Store. With loads of exciting and devilishly tricky levels, iStunt 2 guarantees you many hours of fun.